GraphMasters is an open workshop organized to foster collaboration between researchers interested in graph algorithms and problems. The spirit of the workshop is informal: we will provide working space for participants, who are welcome to group as they like and seek each other’s counsel and opinion. Participants are encouraged to bring interesting problems to share with others. We welcome all graph-related problems, including those not directly involving graphs but that you suspect may be modeled as such. 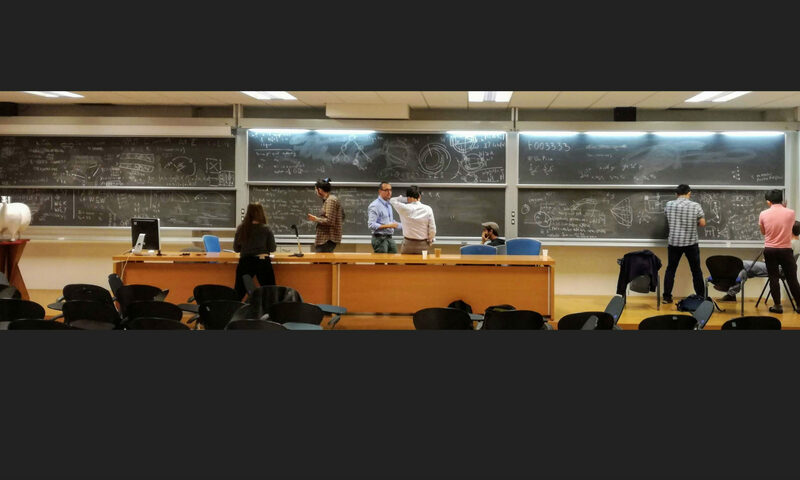 We plan to gather some problems beforehand to startup the discussion on the 22nd, if you want to suggest some (we warmly invite you to do so) email the organizers at conte@di.unipi.it. GraphMasters 2019 is the first edition of this workshop. It will be held at the Computer Science department of University of Pisa on July 22nd, 2019, the day before IWOCA 2019 starts in the same location. On the same day, the StringMasters workshop will be held for algorithms and problems concerning strings. There is no registration fee for the event, but for organization reasons you should email conte@di.unipi.it (or the StringMaster 2019 organizers) to show your interest before June 22nd (A month before the workshop). In alternative, attendants of IWOCA 2019 will get a chance to show their interest in the registration form. See this page for more details on reaching the venue and finding food in Pisa. Demonstrations of interest are welcome: email the organizers at conte@di.unipi.it to let us know that you plan to attend. IWOCA 2019, the 30th International Workshop on Combinatorial algorithms, will be held in the same venue on July 23-25, 2019. See the website for the call for papers (abstract registration: February 20, submission deadline: February 25). StringMaster 2019 is this year’s installment of the StringMasters workshop on string related problems. It will be held on the same day and location as GraphMasters. People interested in both workshops can freely move between them.